The big action this weekend is in Canada, as Woodbine harness presents four-and-five-year-old pacers of both sexes in leg 1 of two major series. For the mares, there is the Damsel, with a trio of miles on Friday, Feb. 24. For the males there is a double-header of divisions for leg 1 of the Cam Fella. Saturday Woodbine followers playing on TwinSpires are once again eligible for bonus betting, collecting TSC Elite points to the tune of 10X with winning $10 tickets. At Cal-Expo there is more action in the last few races of the Saturday card with the exclusive TwinSpires-Cal-Expo no-takeout Pick 4. And more horses to watch are revealed from our personal (H2W) list. Friday, Feb. 24 delivers a great group in the Damsel pacing series opener. In leg 1 for the mare pacers, nine tough gals, some of them in their first seasons racing as elders, go for $30,000 (as does each division). It is difficult to look beyond the morning-line favorite in this mile, as Jolting Kate takes that status even though she finished third at 17-1 last week. Perhaps the crowd will give Three Charms and Honey Do Jigtime enough play to keep “Kate” at a decent price. In round two, Zeron once again gets our call with Rock For Glory. She won wire to wire last week and did it easily. With DGs Tinkerbell on the outside, we like Shine N Shimmer to be in the top two. We liked her last week and will excuse her for the loss, taking her here. That trio could make up the triactor. The Damsel nightcap presents Oceans Motion, direct from the Meadowlands. She has been racing swiftly and with dead aim at better than this group and could topple the choice, which will probably be Ole Miss. The series named after one of the sport’s stalwart pacers and certainly one of its great studs commences on Saturday, Feb. 25 with a pair of miles. The Cam Fella, leg 1, features nine of the big guys. Many of these will be performing in some of the top stakes for this division throughout the year, though in the richer events there will be the likes of those older than five. 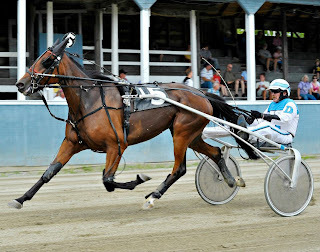 The Cam Fella’s first of two events on the program offers two horses we have been following somewhat successfully in the early featured events of this season: Audreys Dream and C Major Hanover. At press time, Zeron had not decided upon which he would drive, though we feel it will be Audreys Dream. That one should get most of the play, leaving C Major Hanover once again in a position to display talent that has yet to shine against similar in 2012. Zeron or not, we feel both of these are the driving forces to this division. Next, eight try to defeat the sparkling record of Itrustyou, also direct from the Meadowlands. An outside post may mean nothing to this on-a-roll monster that has devoured every field so far this year on the mile track. Even with questionable trips, Itrustyou has managed to be the best. That doesn’t stop us from looking to take advantage of anything that can put a hamper in his streak, which is why we are going to put faith into the continuing improvement of the elder Lizard King. Another reminder that it is a bonus Saturday where Woodbine players at TwinSpires will receive 10X TSC Elite Points for cashing $10-win tickets. Although we are just covering the features, the bonus is good for the entire program. Our Watch List (H2W) continues with some new to the list. In the event more than one of our choices goes in the same race, you must judge for yourself the individual value—if any—or if they qualify in exotics. The Feb. 25 no-takeout Pick 4 at Cal-Expo is one more giant step to profitland [sic] if we are right about the following contenders. Feel free to increase the size of your ticket by adding to our suggestions. 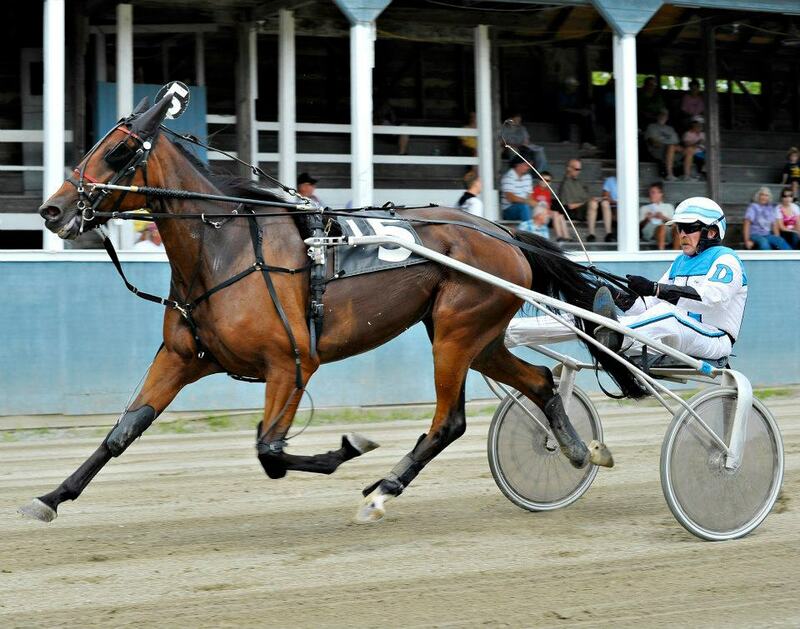 (6) High Maintenance was off and pacing solidly at 18-1, leading to three-quarters before caught. (8) Dawnlikeslillies put in a bad mile, finishing fifth but should do better here. (4) KD Rowdy One had a sharp tank of speed early last week which is a good sign even though he tanked and finished sixth. He was 25-1. (5) Ailene’s Prince was on the attack from the outside and could not make up the lost ground at 7-1; a danger here. (6) Roger J won outside of the Pick 4 where we had him and was powerful at 13-1. A repeat, though maybe at less the price, is in order (7) Sterling Chris should come back to form after being 10-1 and not able to handle the 10 hole. (1) Wicked Beach made up a lot of ground to complete an exacta last week at 16-1 and although he has some competition in this mile he could utilize the inside to romp.